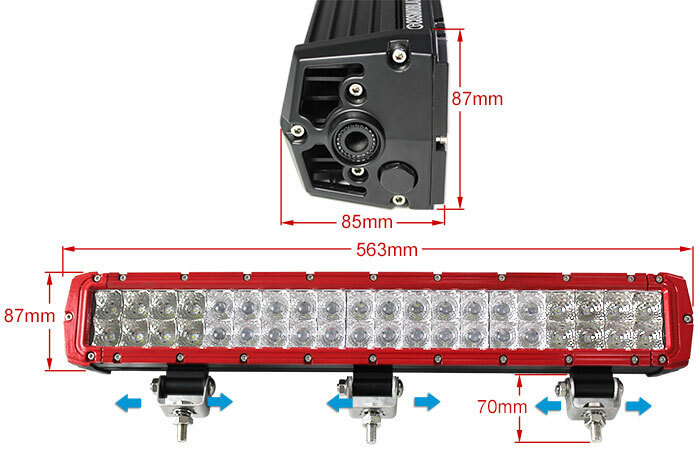 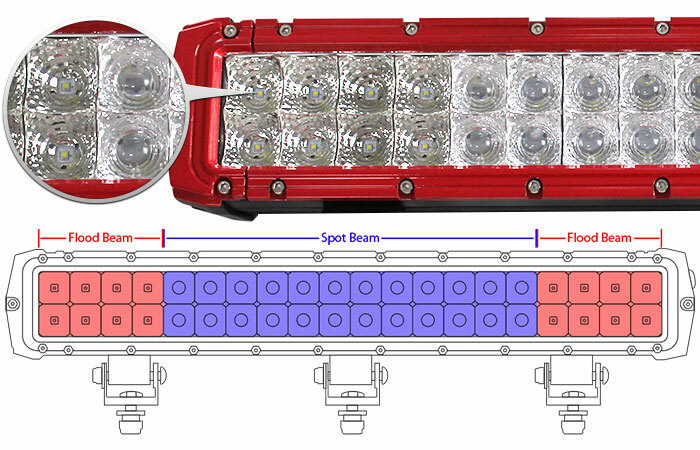 Cosmoblaze Red 20 inch CREE LED Light Bar 120W Driving 2 Rows Flood Spot 20"
Cosmoblaze Red 20 inch CREE LED Light Bar Driving 2 Rows Flood Spot 20"
The NEW stylish RED 20 inch Cosmoblaze LED light bar with 40pcs LEDs that is made from USA has double rows and an illumination of flood spot combination. 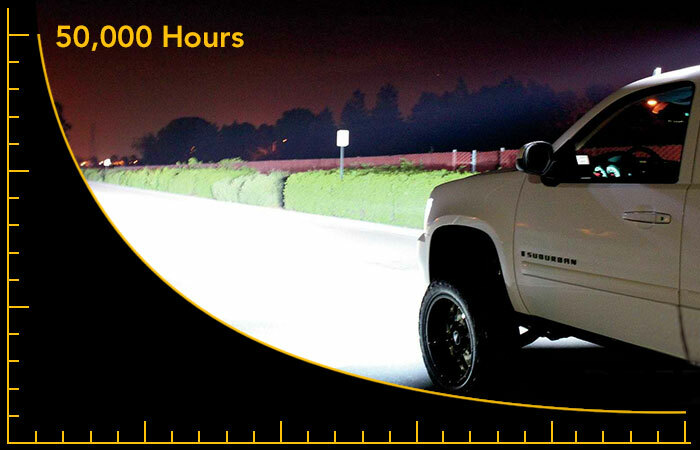 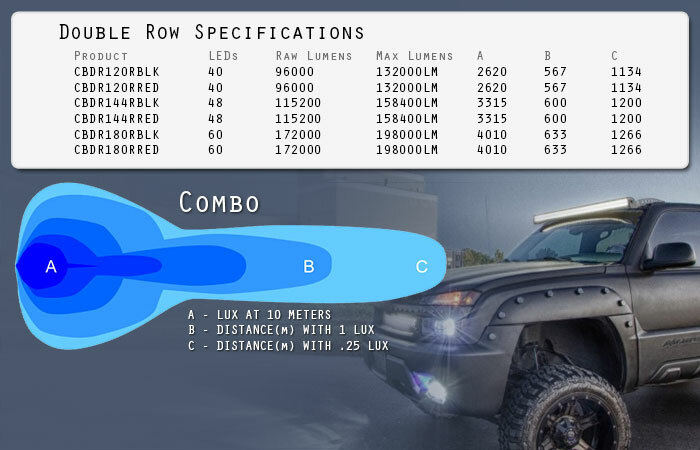 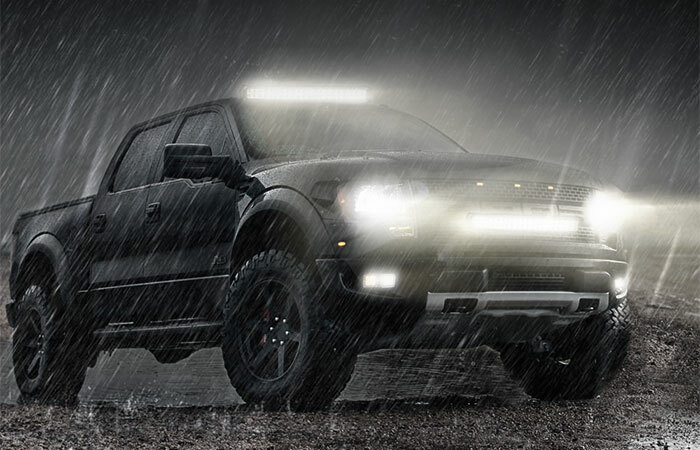 This is an impeccable light bar to have for trucks, 4X4, heavy equipment, boats and all other off-road vehicles. 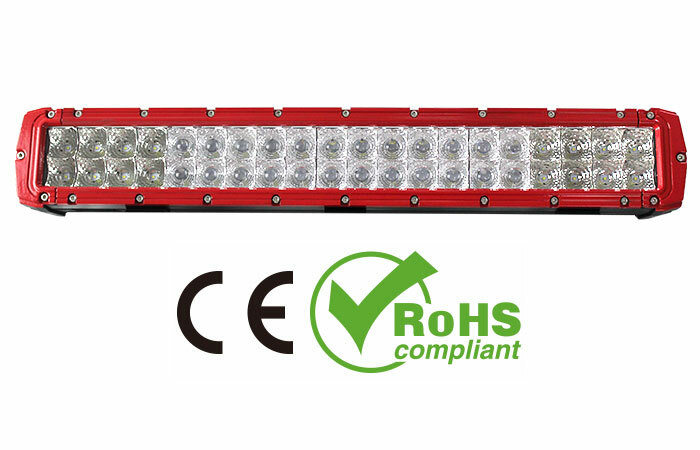 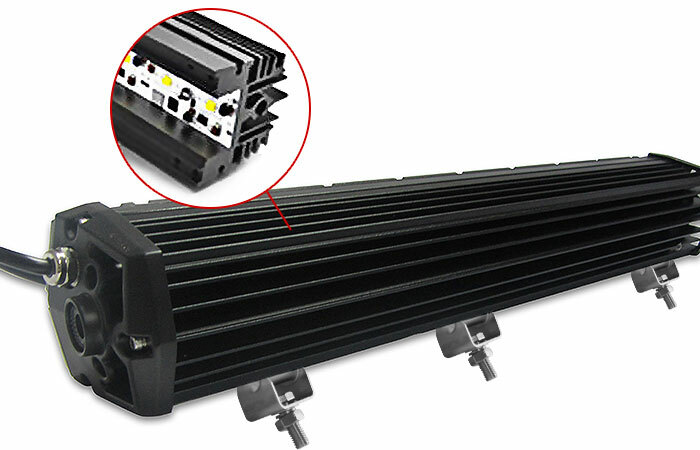 This Cosmoblaze LED light bar is CE and Rohs certified so you are sure of its quality and durability that can stand high temperature. 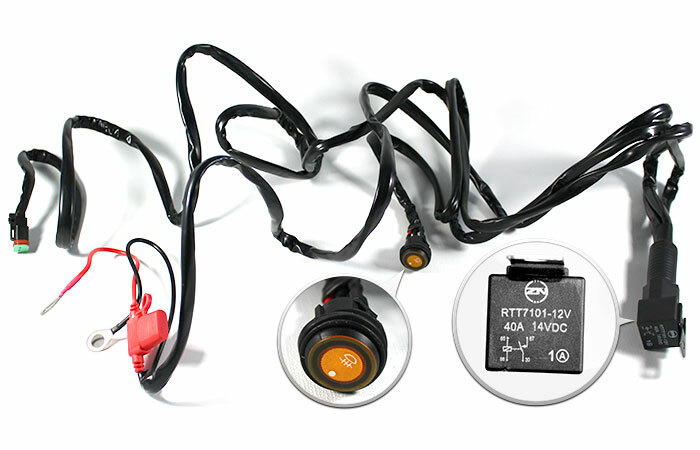 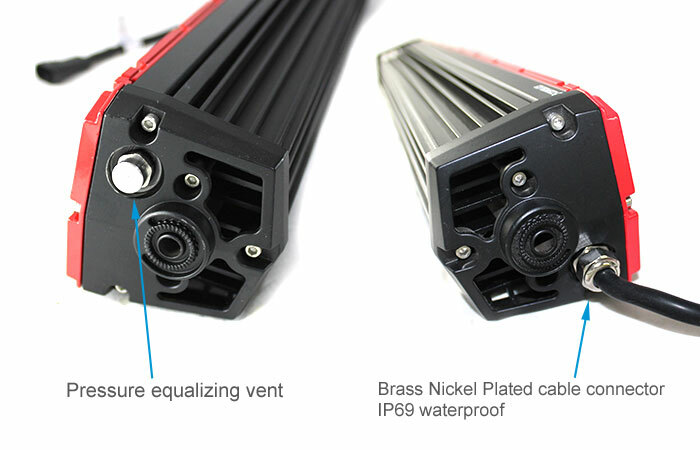 Besides, its IP69K waterproof rating ensures perfect condition all the time, no matter how heavy the rain, or how deep the flood is. 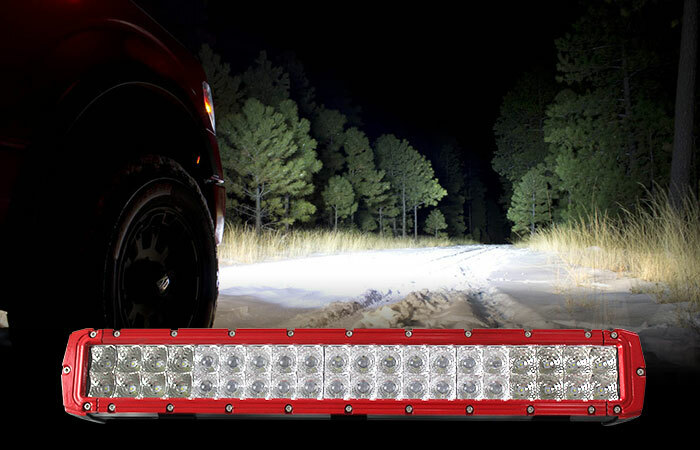 Undoubtedly a practical choice, this LED light bar for your huge vehicle offers a 5-year warranty so you don’t have to spend extra for repairs and immediate replacements.